It is hard to find good coffee in midtown, especially midtown west. Trust me, I have tried my best. Our cries for a delicious cup was finally answered when Cafe Grumpy opened up on the corner of 39th and 7th avenue this fall. 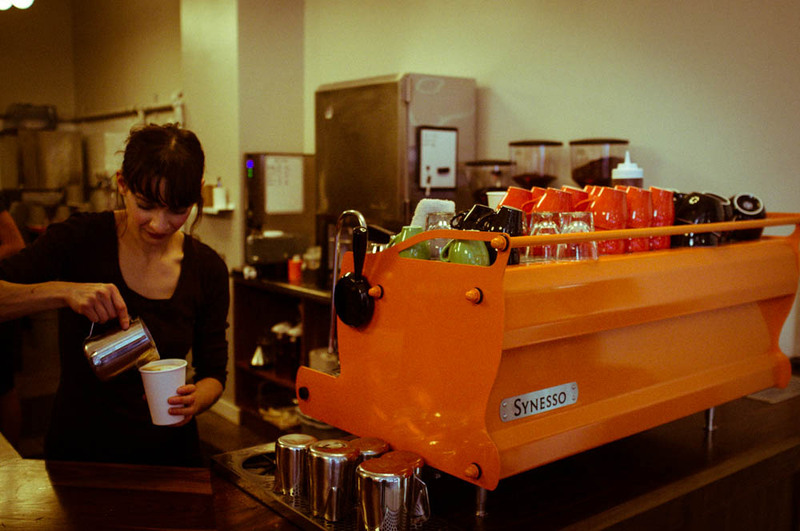 Even though the store front might not stand out among all the ads and clutter of Times Square, the bright orange espresso machine will hopefully catch your eye and lure you in for a lovely cup of latte and a sweet bite.